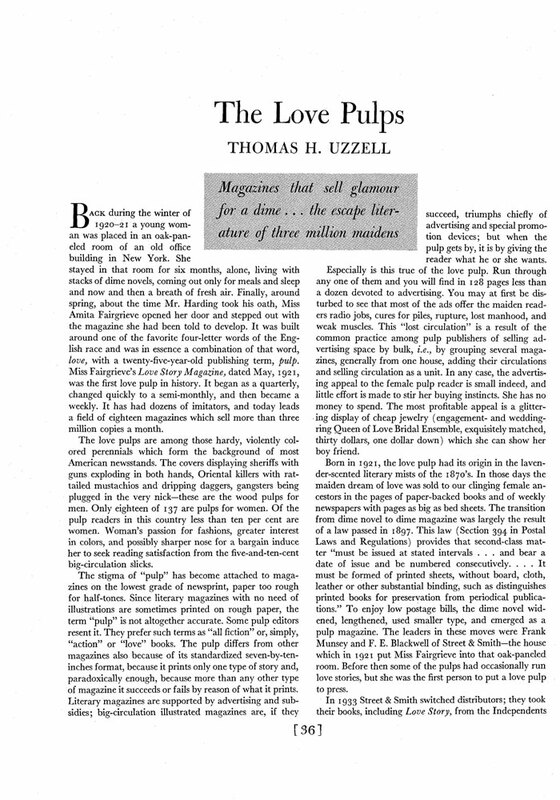 In the April 1938 issue of Scribner's Magazine, Thomas H. Uzzell―a writer, editor, and teacher living in NYC during the 1920s and 30s―published the second article in his series on magazines that sell, "The Love Pulps." 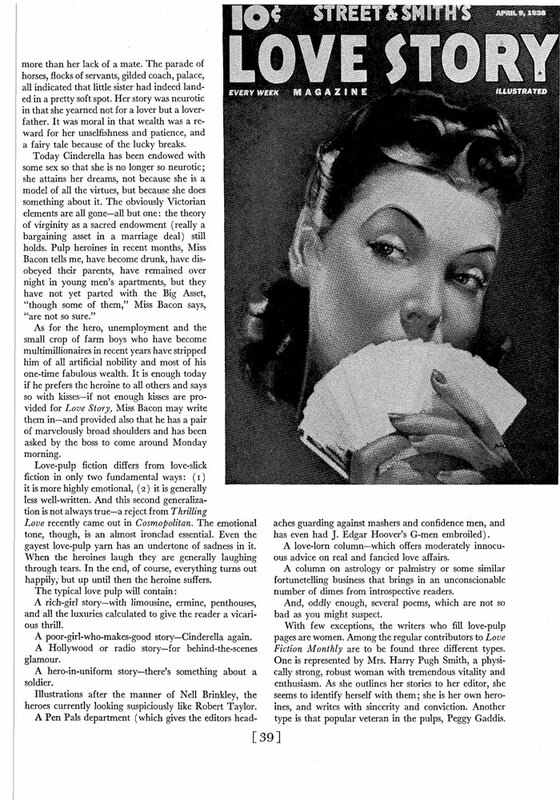 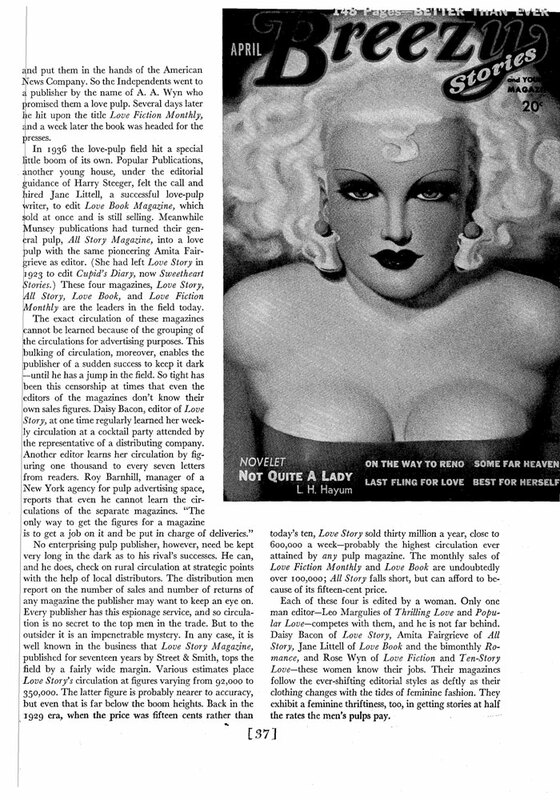 In the article, Uzzell takes aim at the "sub-mass female reader," whose adherence to "tribal mores" and devotion to convention is catered to by "magazines that sell glamour for a dime... the escape literature of three million maidens." 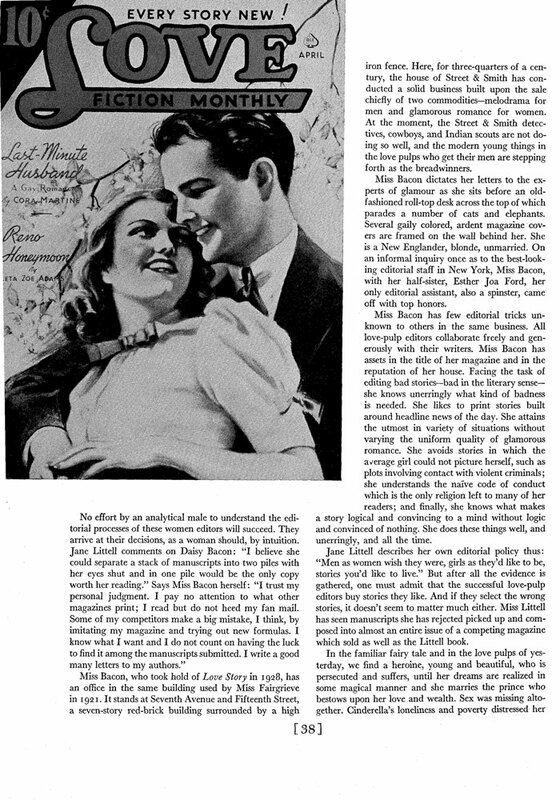 Titles featured in Uzzell's list include Love Story Magazine, Romance, Sweetheart Stories, Breezy Stories, and Cupid's Diary. 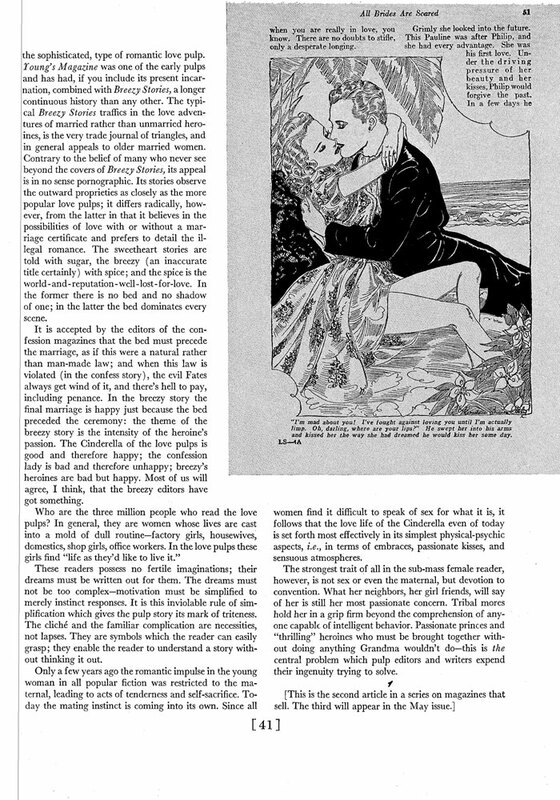 That article is reproduced below. 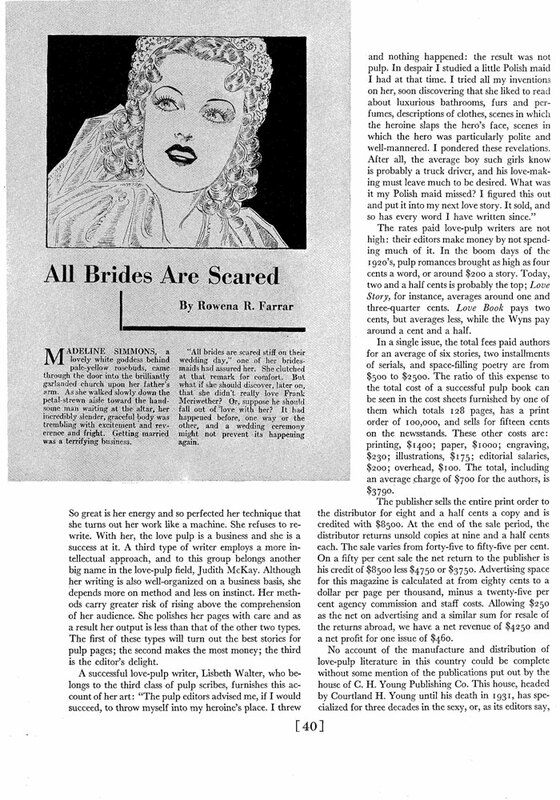 View the full 6-page article from Scribner's (April 1938) here, as FlipBook or PDF.